The fashion juco bag is the ultimate in quality in our jute bag lineup. The fabric of the bag is a blend of cotton and jute, so it's much softer than jute to the touch, and the tighter weave means we can put a far higher quality print on the fabric because the ink doesn't bleed into the gaps between the fibres like it does with the fashion jute. Juco is popular with fashion brands that really want to convey the message of "the ultimate in quality" to their clients. 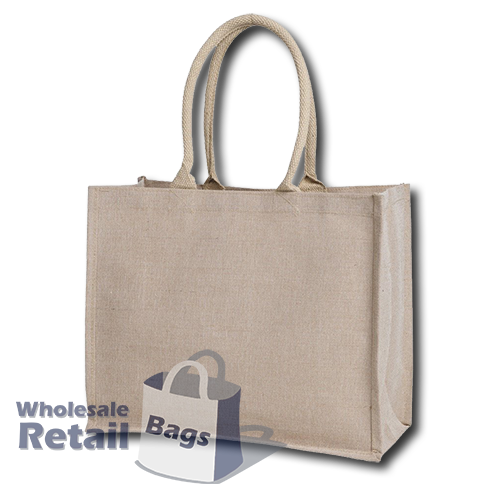 The fashion juco bag is the same dimensions as the fashion jute bag, and like the fashion jute bag, it's laminated internally.